In 10 days from now, you’ll have to be ready for the rise of little monsters. No, Lady Gaga is not coming to your place, but the your young neighbors will be on their cookies hunt for the night of Halloween. Halloween is a good time for a good feast, party or just hanging up with friends and mocking scary monsters. So you may want to decorate your place like the Addams Family house, prepare the scariest dishes ever, get the best costume. To find some inspiration and organize my ideas, I find Pinterest to be the best place. I can gather the images I found on the web, share them and look at what other have found. Let me share with you the trends I found this year. What is the really best thing in life where you are around a campfire ? Guitars and songs ? Naaa… Smores of course. Those tasty sandwiches of roasted Marshmallows with chocolate between two crackers… Even if it is fun to be around a campfire, you need a fire to roast your marshmallows. Making them at home isn’t that easy and may be messy. We can even say dangerous with kids around. Well, that was until now. 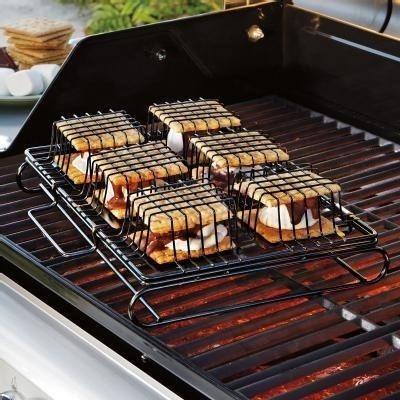 Well, there are lots of smore cookers, but here is maybe the only one you can use everywhere. And yes, even on a barbecue, so maybe the best gift for Father’s day from any GeeKid. If you are a Whomaniac, you know this little trick of the Police Box. The TARDIS is bigger in the inside. Now if you are a geek, you would want to build such a cool object. That is just what Greg Kumparak did. Greg Kumparak explains in his blog post how he built this TARDIS. Building a TARDIS scale model is not complicated as it is basically a square shaped box. Adding a cool feature like a blinking LED is straightforward. But having it bigger in the inside does require another reality, and this video explains how he did that. The inside was modeled using Blender. It was then put together in the app using Unity and Qualcomm’s Vuforia API for a real good result. Greg had some tricks to figure out to correctly align the virtual inside with the model, this is explained at the end if his blog post. The result is a very inspiring project. If you are not familiar with AR APIs, you should really check Vofora’s developer website. The API is available for Android and iOs and opens up great perspectives for apps dealing with your environment. So, what will be your next great idea ? This video was published two days ago, and it already hits all the headlines. Lego genius Akiyuki built this awesome… hem… thing. The whole thing really looks like a production line with different modules, with the product going from module to module. Actually, Akiyuki seems to be a student in mechanics, at least that is what I do understand from Google translation of his blog which is in Japanese. The machine total size is 5 by 21 feet (1.5 meters by 6.5 meters) for a total length of 101.7 feet (31 meters). It is composed by 17 modules, and each module is an awesome implementation of a mechanical device. Some of those modules have their own video, if you are interested in mechanics, you should check them. This video should be kept by every Lego Technics builder as a handbook for each module. Well, be aware that this build take him 600 hours over 2 years. Some parts have found inspiration in other builders work, but the whole result is awesome. Now, your turn to build. If you haven’t got the stuff you need, you can start with the Lego Store on Amazon or on the LEGO Store . Bringing some action on a Warhammer 40k table. Two days ago, I showed you the crazy Lego Bolter pistol. The author is a total Warhammer 40k fan and has previously built an awesome scale model of a Land Raider. If you want to build something similar, you’ll need some bricks. Check out the Lego Store on Amazon. Lego provides the Power Function Accessory box (8293) to power up your creations. What will you build ? This is a really awesome work. And the most amazing is that this model have some mechanical parts. Yes of course, it does not really fires the Bolts, but the gameplay could be there. If you had to choose between a customized Nerf’s Maverick or build this kind of gun out of bricks, which option would you choose ? You want to start building something like that ? Get some bricks at the Lego Store from Amazon. Should you use your LEGO Mindstorms at work ? Have you ever found yourself in the need of automation ? Have then considered looking for a custom made robot ? Have you looked for how to have a home-made robot ? Robots are used for repetitive precise actions. If you need one, of course, you should consider calling a professional. But they are expensive and you may not have the budget for it. Today, robotic and automation can be an inexpensive hobby. And such toys can definitely be used as prototypes. On the video bellow, the lab is using Lego Mindstorms for that repetitive action. Without it, a technician would have spent his day with a stopwatch immersing that sample. You need to often change the behavior of the automate. Such hobby sets are not designed for production. Actually, they are neither designed for prototyping. But they can still found themselves in such usage. Lego Mindstorms NTX 2 box. 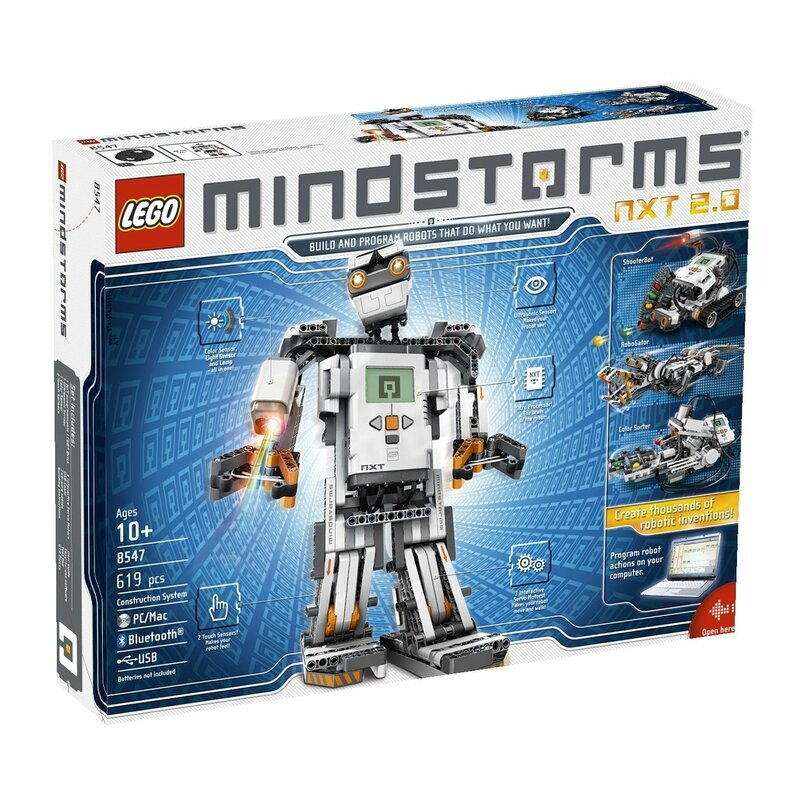 You can find LEGO Mindstorms on Amazon for less than $290.